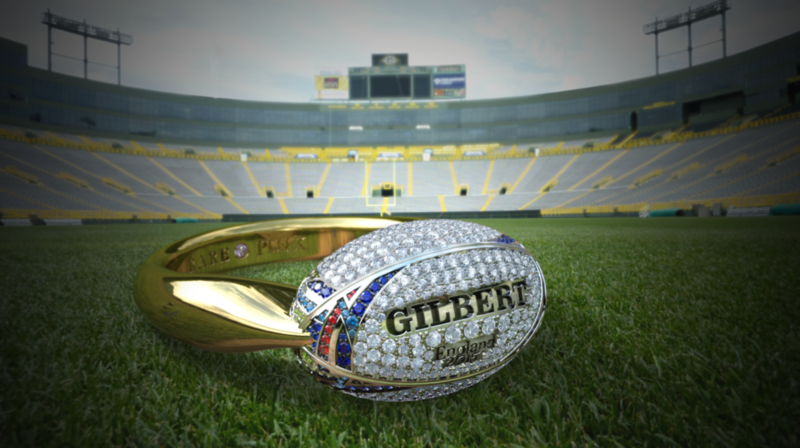 As the end of the 2015 Rugby World Cup approaches, we have re-created the iconic rugby ball in diamonds and gemstones. We are commemorating this weekend’s rugby world cup final between New Zealand and Australia with this bespoke design. Displaying their creative skills, our designers tackled our challenge head on and created this one-of-a-kind ring crafted in 18 carat gold with over 400 diamonds, sapphires and rubies. This truly one-off piece is the perfect way to celebrate the final this Saturday.